I prefer looking forward to looking back over the year so I'm not going to indulge in a long navel-gazing retrospective of 2012. Nor will I be making any new year's resolutions for 2013 as if I did I expect most of them would be broken for perfectly good reasons whilst other things will be achieved that I haven't even thought of yet. The only thing important enough for me to make a resolution about is to keep on getting healthier and beating that brain tumour into submission! If I could get my driving licence back and regain access to the Great Outdoors that would make me happier than I could possibly say. 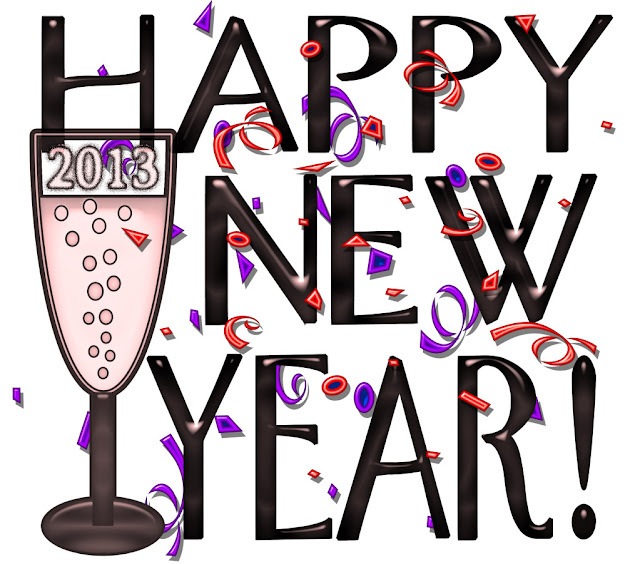 I wish all my readers good health and happiness above all else in 2013. See you next year! Haapy New Year, Julian and best wishes in 2013. Happy new year Julian & Olga and all the best in 2013. Hope to read a lot more of you in the next year. Happy New Year to you and Olga! Happy New Year Julian & Olga.